With its timeless sleigh design and quality construction, the Storkcraft Avalon 4-in-1 Convertible Crib is the perfect addition to your babys nursery. The Avalon Convertible Crib is designed to grow with your child as it converts from a baby crib, to a toddler bed (toddler guard rail not included), daybed and full-size bed (bed rails not included). Made from quality solid pine wood and wood composites, the Storkcraft Avalon 4-in-1 Convertible Crib is available in a variety of safe, premium non-toxic finishes. The Storkcraft Avalon 4-in-1 Convertible Crib is JPMA certified and is compliant with all CPSC and ASTM safety standards to ensure the safest sleeping environment for your child. This crib is designed to not only provide maximum safety for your baby but to be in line with today's trends as well. The rounded lines and full side panels give it a traditional look. Stylish and multifunctional, this crib transforms into a toddler's bed as your baby grows. 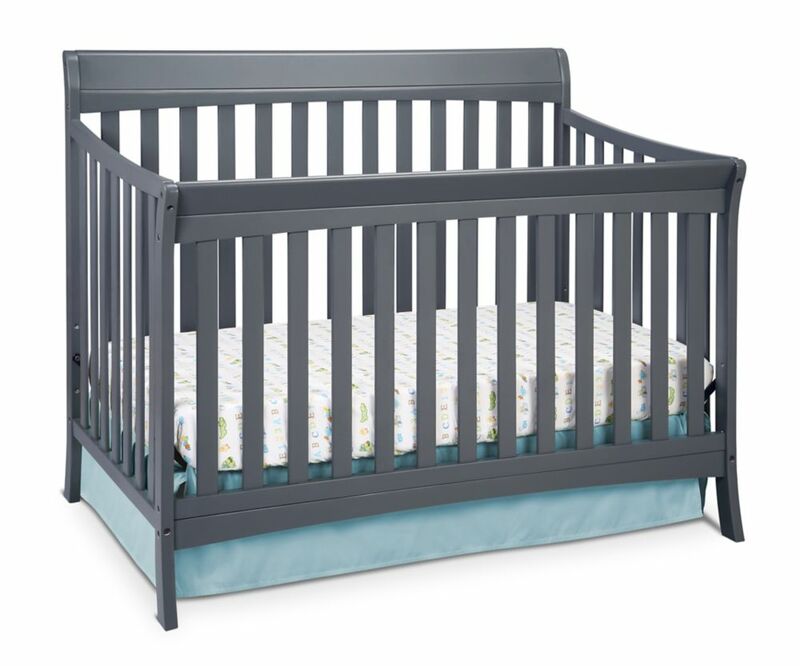 Avalon Convert Crib-Grey With its timeless sleigh design and quality construction, the Storkcraft Avalon 4-in-1 Convertible Crib is the perfect addition to your babys nursery. The Avalon Convertible Crib is designed to grow with your child as it converts from a baby crib, to a toddler bed (toddler guard rail not included), daybed and full-size bed (bed rails not included). Made from quality solid pine wood and wood composites, the Storkcraft Avalon 4-in-1 Convertible Crib is available in a variety of safe, premium non-toxic finishes. The Storkcraft Avalon 4-in-1 Convertible Crib is JPMA certified and is compliant with all CPSC and ASTM safety standards to ensure the safest sleeping environment for your child.